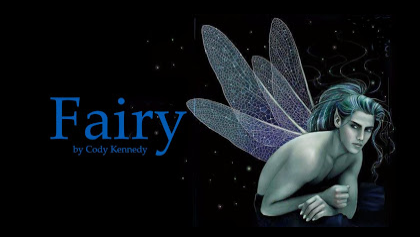 Mia Kerick’s 5 star review of Fairy by Cody Kennedy!! Fairy by Cody Kennedy should be a full-length novel. Now that I said that, I feel better and I can offer my honest review. I have never before read very much fantasy, as I feared I would not be able to relate to it. But because I enjoyed Omorphi and Safe by Cody Kennedy so much, I decided I would read his serial story, Fairy, from his website. Lucky for me, Cody had already written 20 chapters, so I wasn’t forced to wait for each of these segments to appear on his website. And I’m really glad that I got to read twenty chapters in only several sittings, as I was able to get a sense of Fairy as a more complete work. Well, I was wrong to worry that I mightn’t be able to relate fully to the experiences of the characters in this fantasy story, because, thanks to the main character Merry’s authentic voice, I found myself able to know and care for him from the very first chapter. Merry is a character with whom I, and anybody who has experienced bullying at the hands of others, in particular in a school setting, can relate to. 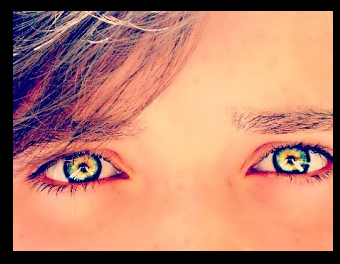 He is a young man who spends a lot of time feeling as if he is in some way less than others. His internal language was exactly as I would imagine a shy, insecure, and persecuted, but somehow still self-respecting, teenage boy’s voice should be. (I am at my happiest as a reader when I truly believe in the character; when I can picture him thinking and feeling and saying the words I see on the page.) And, yes, there was fantasy… and there was world-building, but nonetheless, I had no problem connecting with Merry. Speaking of world-building, at different points in my reading, I often stopped to wonder just what the landscape looks like inside the author’s brain, because what he put down on paper was imaginative and colorful and sparkling and original. And in regard to his fae characters (I hope that is the right way to phrase it), each was rich and quirky and brilliant. I know them well, in particular Lady Sadb, and in her case, I know people like her and I will admit to not being their biggest fans. Maybe in future chapters she will redeem herself. Quinn, the fairy prince, leaves nothing to be desired as a hero. And he is the kind of hero I like best, tortured in his own right, but fully selfless when it comes to the one he loves. I like it best when Quinn reminds Merry to stop being so hard on himself. The greatest strength of Fairy, in terms of taking me to another place and holding me there, which is ultimately why I read, was Cody’s use of language. With the fairy language, which sounded to me Gaelic and old-fashioned, the writing was consistent and believable. I admired the intricacy and the flavor that never wavered. Writing in that kind of dialect must be very challenging. 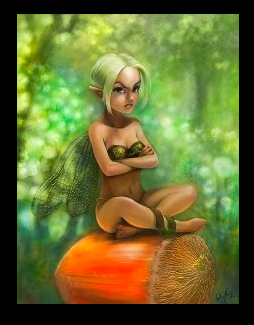 Fairy is a wonderful YA serial story–filled with color and imagination and problems we all can relate to that make us pull for the good guys. There is more than a touch of sweet and poignant romance. The story is simple, in some ways, but quite complex in others. And so, on that note, I will not conclude by labeling the first twenty chapters of Fairy by Cody Kennedy as a fulfilling portion of a “YA novel”, but instead I will call it a heartwarming serial story (maybe someday a novel?) filled with the hope for better days, from which all readers, young and old, can benefit. ← Check out my RED SHEET Blog Tour Schedule!! You are welcome. Thank you for writing Fairy. WRITE MORE! !